More Power. More Soul. More Guitar. Our classic iOS app is completely redesigned for iPad and iPhone! Brand new guitars, amps, FX & More. 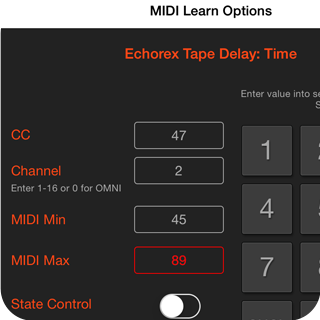 Inter-App Audio & Audiobus compatible. Steel Guitar's core is updated with lots of sizzling new electrics, bell-like pedal steels, a huge-sounding acoustic, and a jangly 12 string. The playing surface is more expressive than ever, letting you do bar slants, and even dampen the strings with dedicated gestures. The sound clarity -even way up the fretboard- is unmatched. 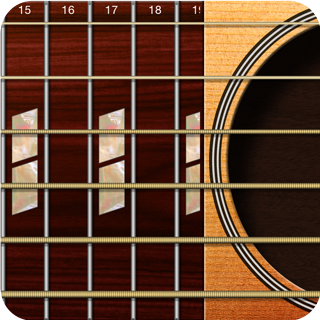 You can set normal and damped sustain, configure and save your own tunings, and do much, much more. Offering our cutting-edge realtime amps and effects technology, the all-new signal chain can take on any of the new Steel Guitar's 8 virtual-tube amps and 16 virtual-analog effects. From vintage 50's tweeds to modern high gain amps, and from iconic overdrives to giant reverbs, the complete Steel Guitar collection lets you nail every classic tone you could imagine. And it's all controlled by a fool-proof drag and drop interface. 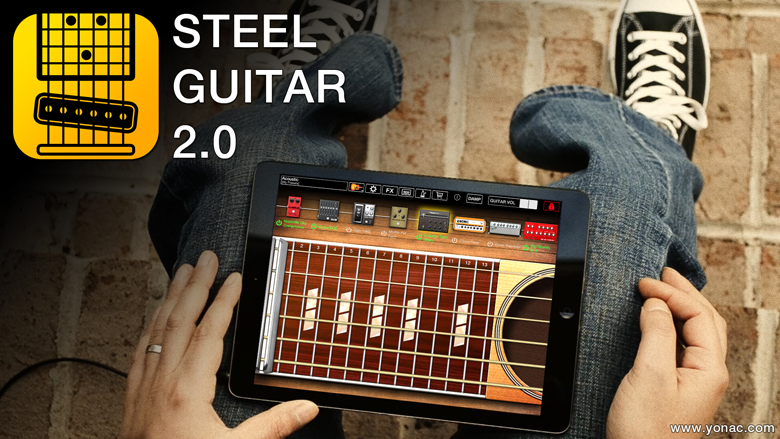 Steel Guitar comes fully connected with Inter-App Audio and Audiobus. 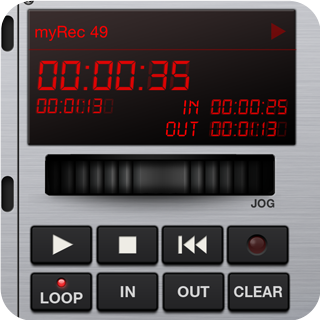 Use it with your favorite IAA host or Audiobus compatible apps. Unlock the PRO Pack or the Whole Enchilada to harness the power of Steel Guitar's easy-to-use MIDI Learn: plug in your favorite MIDI controller and drive amp, effect or guitar parameters. 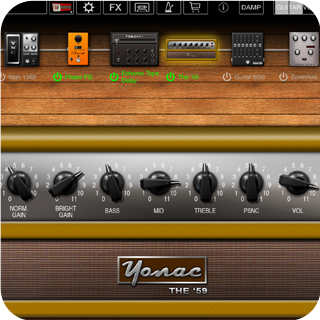 With the all-new Steel Guitar, you can save endless presets that let you recall your set ups at a single touch. With the optional Tapedeck, you can unleash recording, looping, audio copy/paste as well as a plethora of other production-friendly options. The string-bending pedals can be actuated by your device's accelerometer or via MIDI, and the copedent is fully configurable.